Cycling through the countryside and the historical city is the most enjoyable way to explore Ayutthaya. Colors of Ayutthaya is a relaxed bicycle excursion through the suburbs of Ayutthaya City and Historical Park and ruins of the old Thai capital. Most visitors to Ayutthaya will only spend a few hours in the old capital which actually is a pity. During this Colors of Ayutthaya bicycle excursion our local guide will take you off the beaten track and show you the real, non-touristy Ayutthaya! During this join in excursion we cycle through a local part of Ayutthaya, a part where tourists will never come on their own. You will cycle along rice fields and on quiet back roads and get a good impression how the local people live in Ayutthaya. 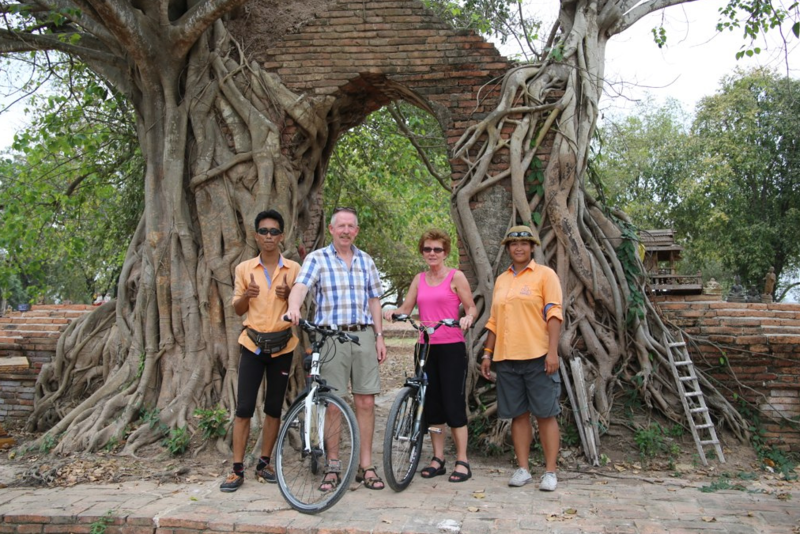 During this amazing Ayutthaya bicycle excursion participants do not only visit the famous Ayutthaya Historical Park, but also explore a local and non-touristy part of the ancient Thai capital. This tour is on join in basis (with other participants).